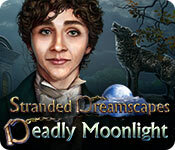 Stranded Dreamscapes: Deadly Moonlight is rated 3.4 out of 5 by 7. Rated 4 out of 5 by gcrazy from Tending toward creepy great mini games in a game. Lots of fun with that. I am not into creepy, bloody clowns, children locked in cages with sad voice. Rated 4 out of 5 by Pilot1 from A dark and quirky tale! The retro graphics and (another) Victorian era time-frame put me off at first but, as I played, it all came together as being right for this game. Take note, this is not a game for children! The story, music, graphics —the whole package, in fact— is too intense for the very young or, for that matter, for those whose taste in games does not run to the noir genre and slightly bizarre. Kudos to whoever selected the background music! It definitely fits the mood and scene wherever in the game you may be. While there is nothing new in the HO sequences or mini-games, there is enough of a twist to them that they are not too 'ho-hum, here we go again.' What started for me as an expectation of dull sameness, surprisingly turned into a dark, quirky game that kept me playing. As always, try the demo and decide for yourself. Rated 4 out of 5 by pennmom36 from WELCOME TO THE WOLFGRIN FAMILY NIGHTMARES You should really give this game a try, although it's not an epic game, it has a somewhat original plot. The beginning starts out slow, but as you enter each of the Wolfgrins most terrifying realms, you realize just how imaginative this game is. 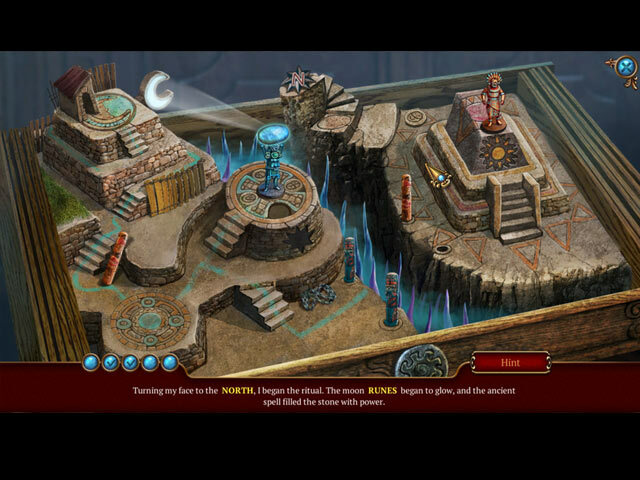 After the demo, the puzzles become more challenging as do the Hidden Object Scenes. I bought this game in the Collector's Edition, but that's because I prefer the Collectibles and Morphs they offer. If you don't care for the extra's, this version is fine, but the collectibles and morphs are really well done in the CE. After the death of John Wolfgrin, his entire family vanished. The only person left to tell a tale is the maid, and the things she's witnessed within the mansion, has left her nearly insane. John may have unwillingly released an evil entity when he discovered the key to unlocking a powerful Mayan tribal necklace, powered by the moon. This is what happens when you dabble with the unknown, but the bigger question is, can you restore the Moonlight Necklace in time to save the Wolfgrin family? The Moonlight Necklace will allow you to travel through portals of each family member's imagination, their own personal little shop of horrors imaginations. These are worlds made up of their deepest fears, and let me tell you, little Chloe's fears are over the top, I'm almost afraid to move on to brother Ben! I have to tell you, I was totally bored with this game in the beginning few scenes of the mansion, but once I entered Fear Fest, it was game on! In the Collector's Edition, each scene has a Hidden Crescent Moon, and they have done an incredible job with blending them into the scenery. Each scene also has a Morphing Object, and again, they aren't at all obvious, you will have to concentrate to find most of them. 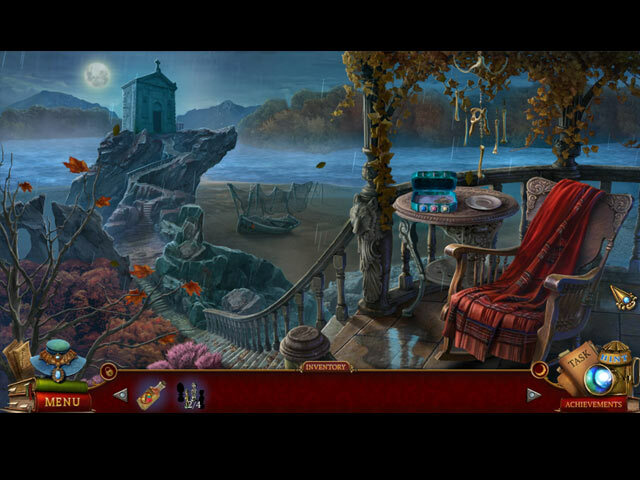 The Hidden Object Scenes vary with different types such as Interactive List finds, Keywords in Sentence finds, Progressive Interactive finds and Silhouetted Shape finds. Some were very interactive and layered, the only downside was that some scenes are repeated. The Mini Games are far too easy in my opinion, and many seem to be the same variance. Below are brief descriptions of some of the games you'll encounter during the demo: 1) Assemble the totem on the center pole, lower parts can't be placed on upper totem parts. 2) Rotate circle discs to complete the image. 3) Choose symbols in the correct order. 4) Choose portraits in the correct order. 5) Select the crosshairs when they are in the green zone. 6) Move notes into correct positions, red is incorrect, yellow is close, green is correct. 7) Select circles when they are in green moving zones. 8) Close all of the bats' wings, clicking on one may affect others. 9) Swap masks to match their silhouettes. 10) Arrange dolls so that their are no matching ones horizontally, vertically or diagonally. Stranded Dreamscapes games available: Deadly Moonlight (4-22-17) The Doppelganger (9-27-16) The Prisoner (10-5-13) The Collector's Edition has 12 Achievements to earn, 37 Morphing Objects, 40 Collectible Crescent Moons, 4 Music Soundtracks, 10 Wallpapers, 10 Sketches, a built in Strategy Guide and a Bonus Chapter, enjoy! Rated 3 out of 5 by FurbyFarmer from Ok Game, But No Challenge This game is way too easy. Would probably be fun for beginners. Nice graphics and an alright story line, just has zero challenge. Rated 2 out of 5 by campingramps from Can we say BOOOOORRRRIIIINNNGGG! This has to be one of the most boring games I have played in a while. No great story line or even a reason to investigate other than some creepy guy roaming the halls of an abandoned mansion. This is your typical low budget HO game in that all you do is go back and forth over and over getting things to open or use other things. It's as though the developers do these back and forth things until they think of something else to add. And what about that monster (?) in the house? He seems to be more afraid of you than you are of him because he is always running from you after saying some idiotic thing that, I guess,is supposed to make you run. Graphics are not up to par and are on the dark side and there is not good detail. HO's and mini games are very easy and really add nothing to the game. I don't recommend this one at all but play the demo and decide for yourself. Don't decide just by reading the reviews because every game I have ever played on Big Fish has at least one 4 or 5 star review. Have fun! Rated 2 out of 5 by Granny_Gruff from If No Family Members Are Left, Why Is The Maid Still There? A knock at your door. A constable stands at the door in the rain and hands you a note as he apologizes for waking you. You take the note in your leather GLOVED hand. Shortly the two of you are in a carriage on the way to investigate the mysterious disappearances at the Wolfgrin estate. The owner of the Estate, John Wolfgrin, traveled and collected strange artifacts and masks. He died suddenly and was buried. Shortly after the funeral, members of his family started disappearing, leaving only the maid in the house. She is convinced someone else is there in the house with her. 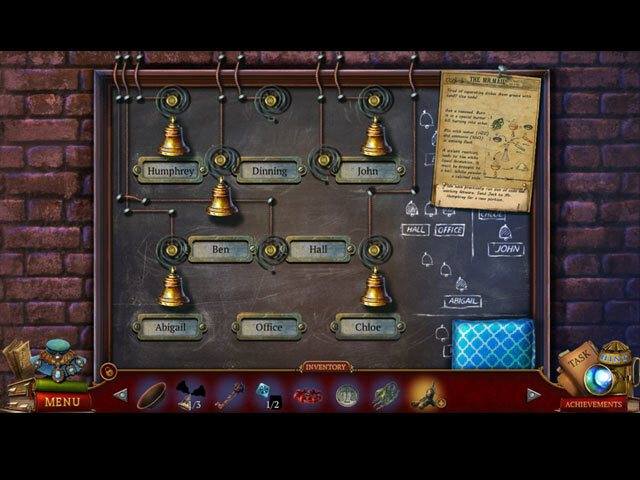 Good stuff: All the usual game elements, most so recognizable, you will check to see when you played this game last! Bad stuff: With the overused plot, tired game play, and stock characters, you might just want to trot out a game you already own and like! This game is rife with the logic lapses I have come to recognize as some Devs' idea of normal. I prefer to hope that they will see the error of their ways eventually and try to turn out quality products once again. In the meantime, No Sale. Please try the demo for yourself.